The images that come to your mind are: sea, suntan, sand games, relax. 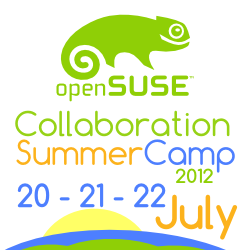 Greek openSUSE community combine those images with working our favourite projects and have fun during summer time. They started last year (check pictures from the event). Greek Gnome community was there, presenting the new Gnome 3 environment (check my presentation in Greek). This year we will be there with a translation workshop (check the program). The presentations will be in English, since we have not only Greek participants.